Steve Jobs was right. Flash never stood a chance of surviving in the same world as HTML5. And now, nearly five years after Steve Jobs shared his thoughts, Adobe is finally laying the name to rest. Farewell, Flash Professional. Hello, Adobe Animate. 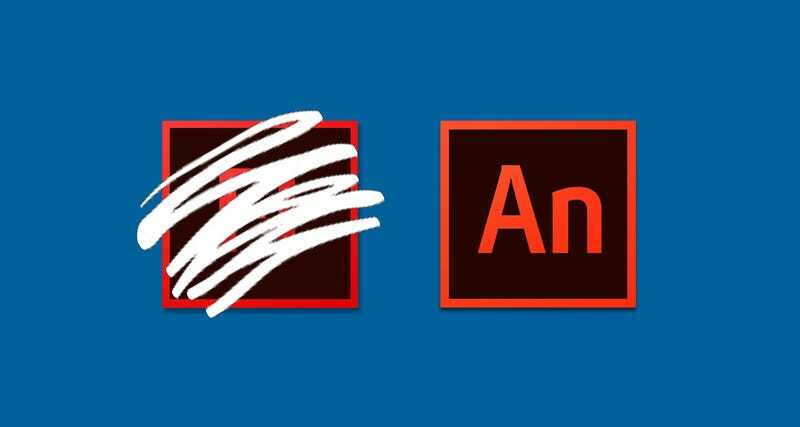 News of Flash’s demise arrived in the subtext of an official Adobe announcement for the new Animate CC. The application essentially looks like an update to the Flash Professional software—albeit with a greater emphasis on HTML5 and a reduced emphasis on, well, Flash. The software launches in January 2016 and will still support Flash. However, since an increasingly large portion of the content created in with Flash software uses actually HTML5, Adobe’s software should continue to evolve away from the clunky old Flash standard. In related news, the new Adobe Animate software looks pretty awesome. And unlike cranky old Flash content, web browsers will actually support the animations you make with it! You should also disable Flash when you get a chance. You’ll thank us later.